Finance skills and accounting courses are in high demand in the UK. The new Accounting Apprenticeships have been designed by employers for employers and teach individuals the essential accounting knowledge, skills and behaviours needed to demonstrate full occupational competence. Who can do these programmes? 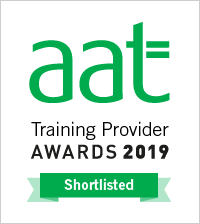 These apprenticeship development programmes are now available to all employees of all ages who want to gain the AAT qualifications and develop their knowledge and skills to a higher level. Graduates can also learn via this apprenticeship route. Employers paying the apprenticeship levy can use their funds to pay for these programmes. Smaller organisations with an annual payroll bill of less than £3 million per year, benefit from receiving 90% of the costs paid for by the government. This Accounting Apprenticeship is designed for new recruits or existing employees who need to be formally trained or qualified in accounting practices. This programme includes the following AAT qualifications: AAT Level 2 Bookkeeping Certificate and the AAT Level 3 Advanced Diploma in Accounting (Additionally Functional Skills in Maths and English if required). This Accounting Apprenticeship is tailored towards more experienced individuals who are looking to further develop their accounting knowledge and skill. This programmes includes the following qualifications: AAT Level 4 Professional Diploma in Accounting and will provide exceptions to CIMA and ACCA. “I just wanted to thank Andy so much for providing a fantastic level of support during my AAT apprenticeship.” – Arran Johnson, Timpson’s. “The Apprentice Academy have done a great job of matching the right candidates with our specific business” – Will Jarvis, My Accountancy Place.